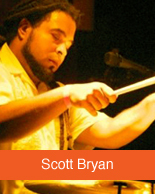 Scott Bryan is a graduate of James Madison University where he received a degree in Cultural Anthropology with a focus on Ethnomusicology and a minor in Music Industry. Also while at Madison, He participated in the Jazz Studies program. Currently he is a member of Cinetrope, The Atlanta Funk Society, 3052 Dub Collective, Abby Wren and What it Is, and the Ruination. Mr. Bryan is a multi-instrumentalist and music instructor with 17 years of teaching experience. 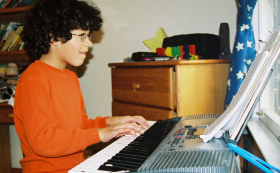 His primary instrument is drums, however He is also proficient in piano, guitar, bass and Latin and African Percussion. Students of all ages have benefited from the fun yet knowledgeable teaching style Mr. Bryan offers.